Stomach cancer is the third-leading cause of cancer deaths worldwide. Together, we can change that. LOS ANGELES, CALIFORNIA, UNITED STATES, November 1, 2018 /EINPresswire.com/ — November is Stomach Cancer Awareness Month, and volunteers for Los Angeles’ Hope for Stomach Cancer are starting their month at a full sprint. The group is preparing for its inaugural Stomach Cancer Patient and Caregiver Symposium, November 10 at the Quiet Cannon in Los Angeles. Smith founded Hope for Stomach Cancer after watching her father lose his entire stomach to the disease and then endure a year of oncological treatment. He survived his initial bout with stomach cancer, which Smith says makes him one of the lucky ones. The Stomach Cancer Patient and Caregiver Symposium brings together experts from various areas of care to help identify ways to better fight the disease. It also allows patients to ask these experts questions about their individual care, so they can attempt to navigate this life-threatening disease. For Smith, that empowerment begins by getting people to wake up and pay attention to their health before it’s too late. The Stomach Cancer Patient and Caregiver Symposium is free and open to the public, thanks in part to presenting sponsors Lilly Oncology and Astellas. Registration is open at www.stomachcancerla.com. Aki Smith is available for interviews about the symposium. To schedule an interview, contact Aki Smith at aki@stocan.org. 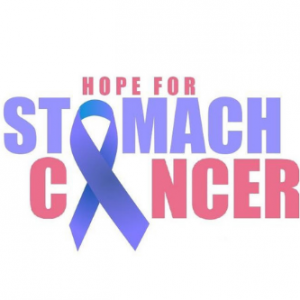 Hope for Stomach Cancer is a 501(c)(3) that provides resources to patients, caregivers and loved ones while promoting early detection and prevention to the general and medical communities. Hope creates and facilitates programs that enable those affected by stomach cancer to take actionable steps to live the best possible life through each phase of the disease. Join us at the Race Against Stomach Cancer after the symposium!